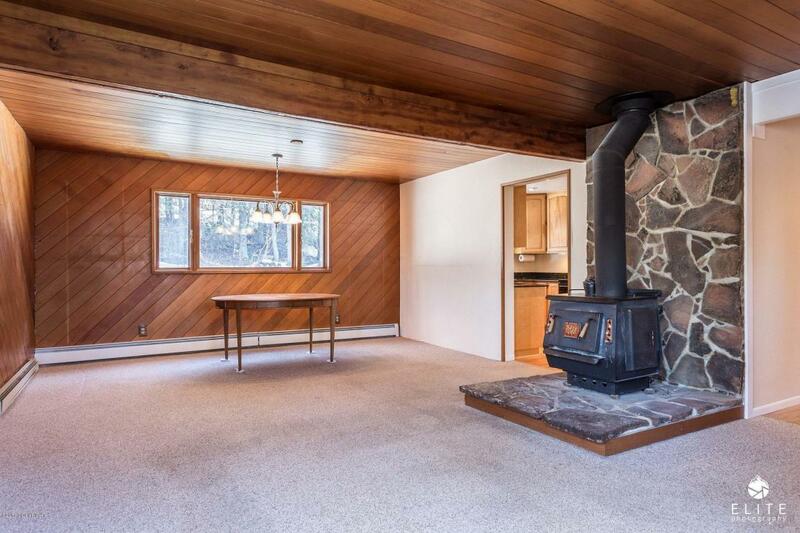 Snuggle by the cozy woodstove, in this 4 bedroom, 2 bath, 2,427 SF Eagle River stunner! Master bathroom features custom cherry cabinetry, quartz counters, porcelain flooring & towel warmer. Downstairs bath features porcelain flooring, hickory cabinetry & quartz counters. Kitchen updated w/custom birch cabinetry & granite counters. Enjoy the well-thought out space in this Eagle River Valley home.